As the central gathering spot of any home, the kitchen’s importance cannot be denied. Because it is the heart of the house, the kitchen is the ideal place to show off the personality of your family. Here are four ways that you can personalize your kitchen to create a warm and inviting space for friends and family to gather. Every kitchen should have a conversation piece that gets people talking when you entertain. This piece should stand out on its own while also seamlessly integrating into the rest of the style of your home. Ideas to consider include a unique piece of art, a collectible that you picked up on a foreign trip, or a stunning bouquet of flowers. 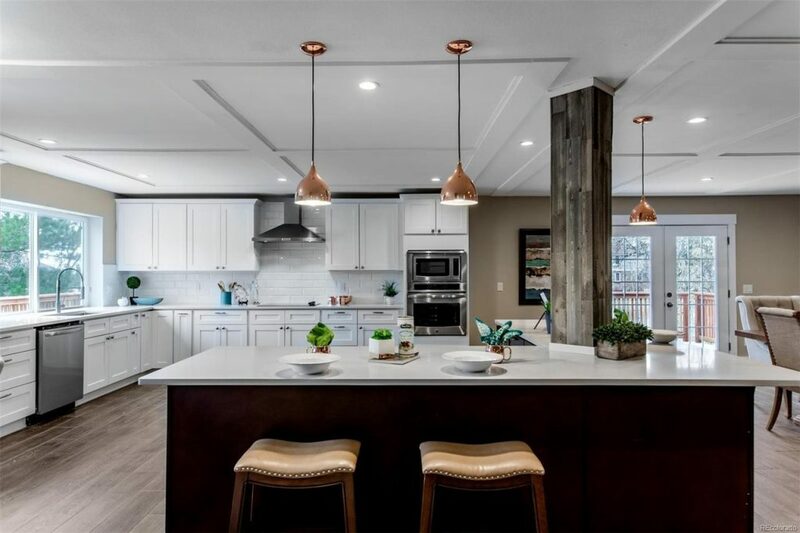 Today’s kitchen trends gravitate toward a neutral color palette. From clean whites to soft grays, these colors are able to blend with the style of the entire home. However, a pop of color is an ideal way to personalize the kitchen and make it stand out. Ideas include painting an accent wall a bright cherry red or sunny yellow. Extend that color into the rest of the kitchen with a complementary vase or tile accents. By choosing the right hue, you can make your kitchen stand out and give it that extra pop. Lighting is an often overlooked element of any kitchen. However, this feature has the potential to make your kitchen unique and give it a distinct vibe. A variety of options from layered lighting to accent lighting make this an easy way to personalize the look of the room. Lighting is also a way that you can add a statement piece. Choose a vintage chandelier or a modern lamp to draw attention to the choice. Different bulbs and colors can be used to achieve the mood that you desire for your kitchen. When walking into a kitchen for the first time, eyes are naturally drawn to the countertops. For this reason, it is important to choose a surface and color that is a reflection of your home’s personality. A quality countertop installation service can ensure that you choose the right material for your personal needs and preferences. By thinking outside of the box, you can design a kitchen that is both practical and a perfect style fit for your home and your family. Emma Sturgis is a freelance writer from Boston.